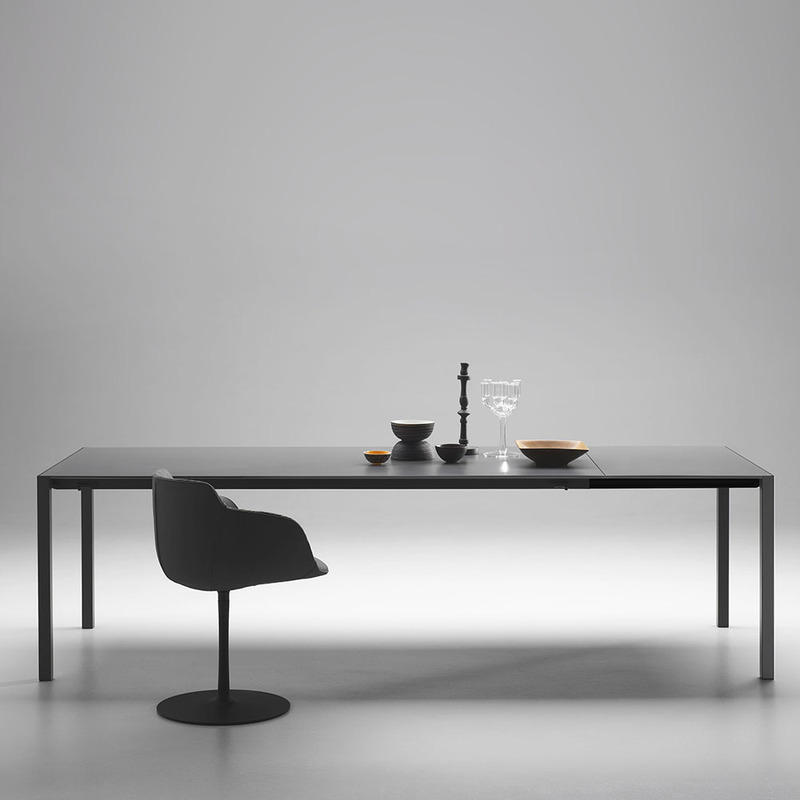 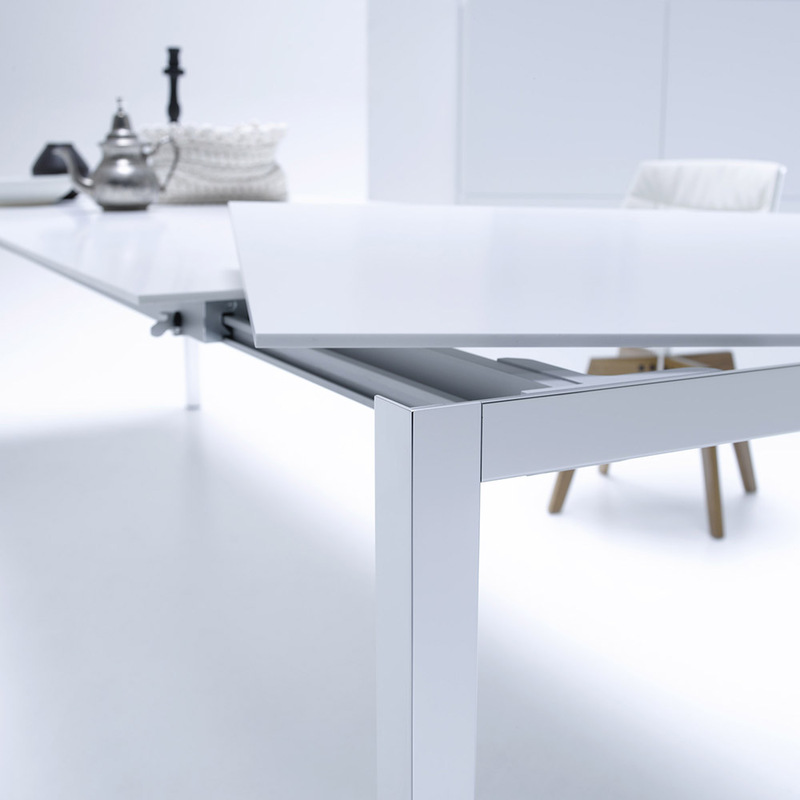 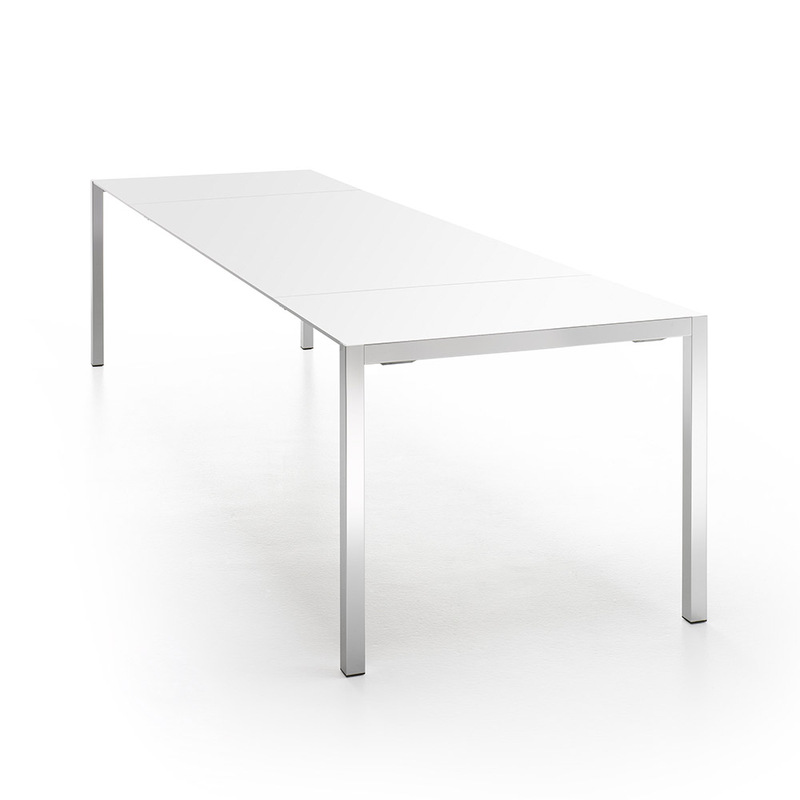 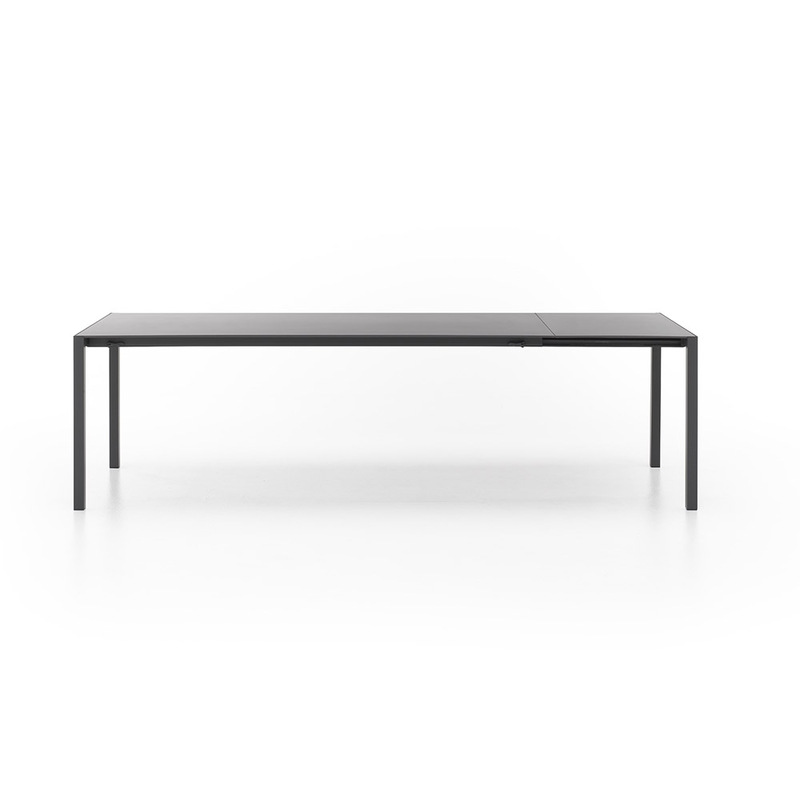 EXT-Table is a dining table with extendable ends. 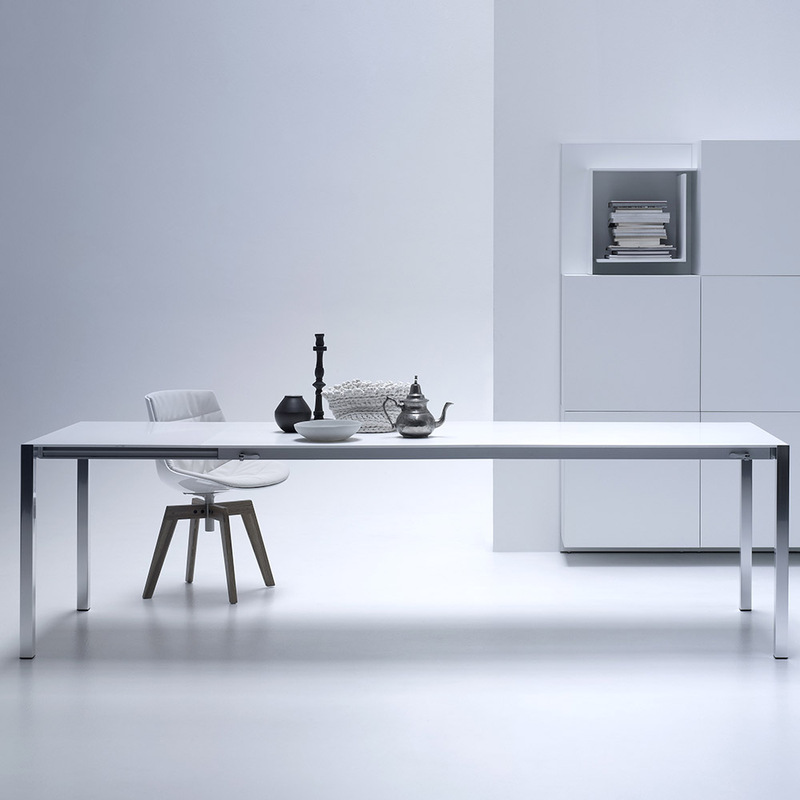 This innovative, yet clean design will perfectly suit all of your contemporary dining needs. 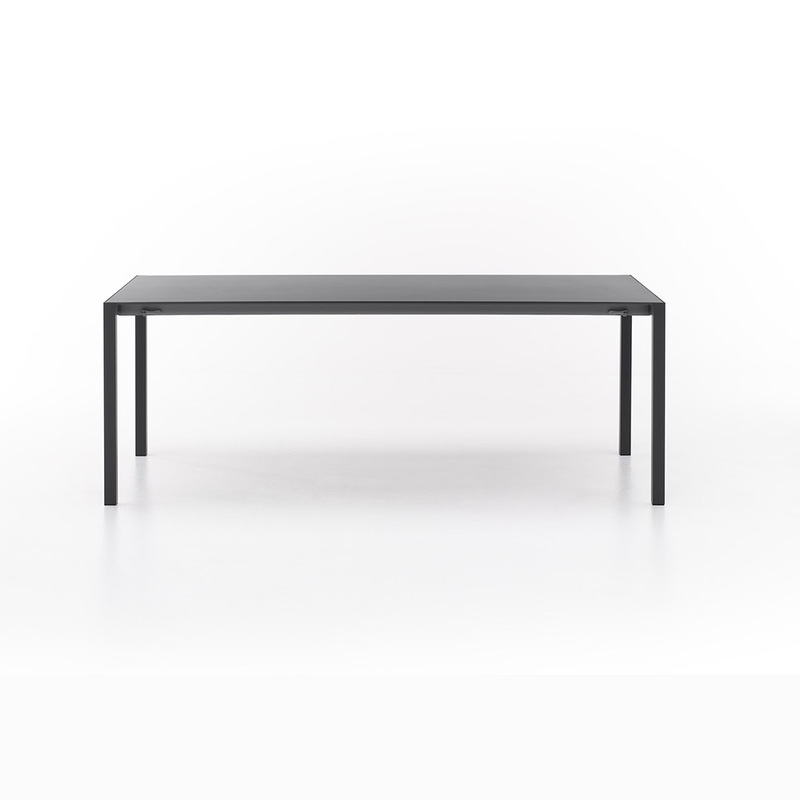 Small W 55/78.7" x D 35.4" x H 28.3"
Large W 71/94.4" x D 35.4" x H 28.3"
W 78.4"/102.4"/126" x D 35.4" X H 28.3"